Provide comfort for the family of Boyd Ross with a meaningful gesture of sympathy. 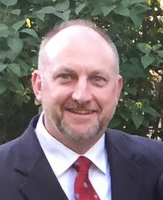 Clarence Boyd Ross, III, 53, husband of Grace Ross, passed away on Monday, January 28, 2019. Born in Anderson, SC, he was the son of Mary Watkins Ross, of Georgetown and the late Clarence Boyd Ross, Jr. Always an athlete, Boyd played baseball at Ouachita Baptist University, where he received his Bachelor of Science Degree in Business Administration and Management. Professionally, Boyd worked as a District Sales Manager with Camso. He previously worked as a Regional Sales Manager at Michelin. Boyd was an avid outdoorsman. He enjoyed hunting, training dogs, fishing, golfing, and spending time with his friends and family. He was an active member of Victory Life Church, serving as a Head Usher and participating with the church softball team. In addition to his wife and mother, he is survived by his children, Ben Ross and Sarah Ross; step children, Deanna Carlucci and Dominick Carlucci; sister, Kathy Ross; and half-brother, Christopher Ross. In addition to his father, he was preceded in death by his brother, John Thomas Ross. A Celebration of Boyd’s life will be on Saturday, February 2, 2019 at Victory Life Church; 1141 Lexington Road, Georgetown, KY. Visitation will be from 10 AM until 11 AM. A service will be held at 11 AM followed by a reception. In lieu of flowers, memorials may be made to Victory Life Church. To plant a memorial tree in honor of Boyd Ross, please visit our Heartfelt Sympathies Store. Donations are being accepted for: Victory Life Church. We encourage you to share your most beloved memories of Boyd Ross here, so that the family and other loved ones can always see it. You can upload cherished photographs, or share your favorite stories, and can even comment on those shared by others. First of all I just want to offer my condolences to all the family members of Boyd; May God comfort you, Boyd and I worked together in the late 8Os, in Mtn Home Ar. at Kirby’s Tucker Cemetery in the summers when he was home from college, what a great worker he was. We were totally 2 different types of people but we became very close friends, I knew Boyd’s life would take him through great journeys, and by reading the obituary I see he truly did. Even though I never met his children, I sure he was a great father! Even though Boyd and I haven’t had any communications in years I often thought of him. I remember when we would go to lunch at a restaurant Boyd would always drink “All” the little containers of the coffee creamers on the table while we waited on our lunch, and yes I Remember his Datsun B-210, that talked also;ha! I just found out about Boyds passing today while attending a basketball game, and I’m so sorry. Though we may never attend another horse race; another day skiing on the lake, or another day bird hunting together my memory of Boyd will always be cherished! I am very saddened to learn of Boyd’s passing. I joined Michelin in the training class with Boyd in 1996. He was a great person who I always enjoyed talking to. We had lost touch for several years then reconnected on social media in the last couple of years. It was obvious that he was a great family man and friend to others. May his family find comfort in this difficult time knowing that Boyd is in a safe place with the Lord. My deepest condolences. Boyd Ross was many things in my life... he was first a professional mentor, then a boss, later a peer, but most importantly, a friend. To know Boyd Ross was to know someone who drank-in life. No matter what he was doing... working, hunting, hunting, hunting, hunting, you name it, he was “all in,” as he would say. There was no question, if you were interacting with Boyd, he was giving you 110%. He was always present, and always in the moment. Boyd was also an incredible coach. Boyd Ross was actually the best professional, one-on-one coach I have ever seen. If you worked for Boyd, you know this is true. As I mentioned, once upon a time I worked for Boyd, but in the last four years I had gotten the chance to work alongside Boyd. I mention this because even though we had become peers, Boyd never stopped coaching me. You see, Boyd had managed and coached one of my team members, prior to this individual joining my team. Boyd was checking-in on this individual one day, as he did from time to time, and during their conversation the individual shared that I was not overly communicative. The gentleman conveyed that I only reached-out when I needed something, I could be slow to call them back, etc. Boyd, being the friend and “coach” that he was to me, he said this, “Hey, man, I’m not telling you what to do (which meant that he was telling me what to do), but reach-out to your guys just to check on them... you don’t need to talk business, just let them know you care, even if it’s only for five minutes.” Well, I took Boyd’s advice... because he was right. You see, Boyd truly cared about his people, and there was nothing fake about the phone calls he made. He called you because he wanted to check-in on you… the person. He wanted to know about your wife, your kids, your house... you name it. The greatest coaching lesson I ever got from Boyd was this one: give a d@mn about the people out there making it happen for you… know the person, not the employee. The funny side of things: 1. My wife could always tell when I had just talked to Boyd, because I immediately got a Southern dialect when we got on the phone, and kept that Southern dialect for approximately 15 minutes after hanging-up with Boyd. 2. If you were truly in Boyd’s inner circle, he would call you from the restroom. 3. I’ve stayed in a North Dakota hotel with Boyd and Grace, pheasant hunting, that was decorated like a women’s prison. I don’t know what a women’s prison looks like, but I imagine it looked like this place. This “hotel,” yes the doors were on the inside, obviously accepted bird dogs. 4. I got the nickname “Fancy Pants” while making calls with Boyd in Fort Wayne, Indiana. Boyd made sure this nickname stuck. 5. Now for the reality of Boyd checking in on you. He would ask you how you were doing, but the conversation would inevitably turn into 30 minutes of Boyd telling you about his dogs and the latest hunting trip he and Grace had taken. You knew this was going to be the case every time you answered the phone, and you loved every minute of it. I loved this man... and had the opportunity to tell him that on a few occasions. That love was the love you have for your true friends. I also know that he loved Grace. Grace, you got into bird hunting for this man... and I know that nothing made Boyd happier than getting to share that with you. And I have to say, if Jesus has never heard a bird hunting story, he’s already heard a few since Boyd came to town. I’ll close with this... Boyd and Grace came to Missouri to quail hunt with me and my father a few years ago. My father, Harold Detjen, is here today at Boyd's service. He hunted with Grace the majority of that day and got the biggest kick out of her. He called her “Ms. Vito;" if you have ever seen My Cousin Vinny, you will know that character. I know my dad is here to support me today and pay his respects to a man I loved. I also know that he is here to support Grace, as he still talks about that day and his time hunting with her often. My father was with Boyd and Grace for eight hours that day. My wish... may we all have people in our lives that move our family to show that kind of support, even if they only knew them via stories or for just a handful of hours. I only knew Boyd’s children through stories, but I can tell you that every one of those stories was filled with a father’s love. God bless Boyd Ross, and may God bless everyone that loved this man.